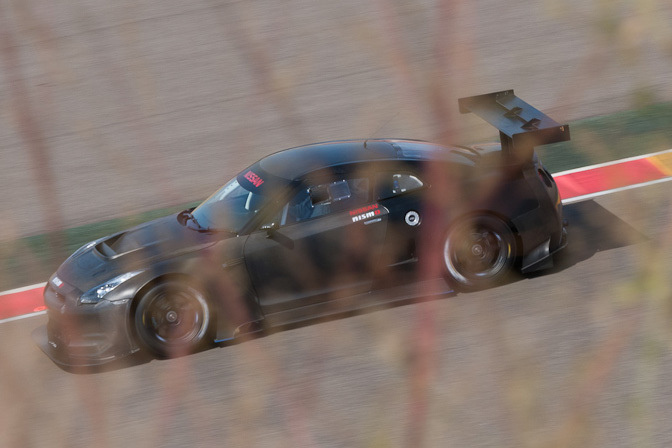 Speedhunters posted a couple of pictures of the FIA GT3 Nissan GT-R. JR Motorsports that runs a couple of GT-R's in FIA GT1 will be in charge of the development of the car in conjunction with Nismo. 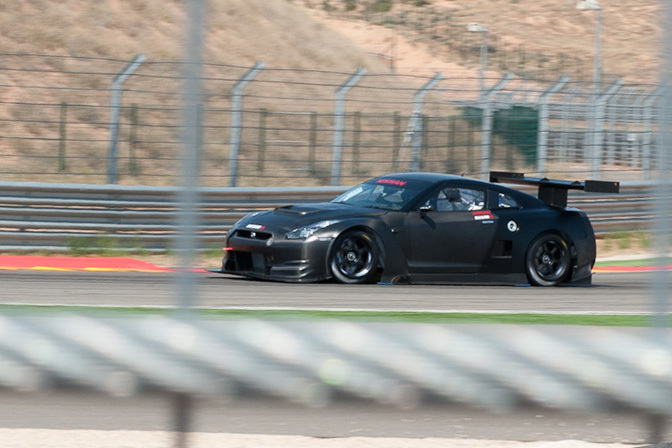 The GT3 car will be closer inline with the factory R35 GT-R rather than the wild modifications of the GT1 car. The rumors say the car is equipped with a VR38DETT and a paddle shifted Hewland transaxle mounted in the rear of the car. To comply with FIA GT3 rules, the car is rear wheel drive, not all wheel drive like the factory GT-R.
Expect the cars to come into the series with around 500 hp and weighing around 1300kg, similar to the other cars in the series. The GT-R will be competing against, Mercedes SLS AMG GT3, Lamborghini Gallardo, Porsche 911 GT3 R, Audi R8 LMS, Ferrari 458, Aston Martin DB9SR, BMW Z4 GT3, and Ford GT GT3. Expect to see the GT3 GT-R this year at a race for testing prior to the 2012 season.